This article we guide all prospective PCM either batch A, B, C ( stream 1 and stream 2) on how to check their names on NYSC senate list for 2019/2020. We have it in good authority that Batch A and B will be divided into stream 1 and stream 2. Stream 1 will likely be those who did their registration on time mostly on the first day of the registration. We understand that other factors comes into play in deciding who falls into stream 1 but we have it in good authority that those who where able to complete and submit their registration on time mostly on the first day the portal will open for registration will likely be in stream 1. So to be among those who will be among those in stream 1 strive to locate the nearest registration center on time and finish up with your registration. Please expect email delivery issues most especially from Gmail and yahoo mail on the first day of the registration. also expect the NYSC portal to be overwhelmed or slow/unresponsive on the first day of the portal is open for registration. Services will likely be restored back I normal 12 mid night but on the second day things we return back to normal as the server will be less busy. Do you know that there will be an NYSC batch C stream 1 and stream 2 in 2019/2020? We are bringing this information to all prospective Corp members who where not able to get themselves mobilize in previous batch. We understand that a lot of corp members has been asking if their will be batch C in this year, so we are going to use this medium to clear all doubt and to set the record straight. The above points makes it almost impossible to mobilize all prospective Corp members at once as almost all the orientation camp can’t contain more that 3000 corps members at a goal doing so will over stretch the facilities on ground. 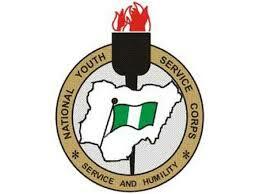 You all have to be patient with the federal government, National youth service Corp board and all partnering bodies. Now before you can be mobilize, your name must appear on the NYSC mobilization senate list for Batch A or B or C stream 1 and stream 2 2019/2020 pcm. Those who where able to see their names should get ready for the forthcoming NYSC registration. There are other reasons which might not have written down above but to clear all doubt it is important you approach your school nursery or exam and records /department to find out the actual reason behind it. First you have to select your institution. Unable to confirm my status as I keep getting the “No record found. Contact your school for verification of approved list” response. What do I do next? when will p-yes shortlisted names will be out?